BroadData Conferencing offers conferencing solutions for training professionals to help deliver dynamic, informative, interactive training—from small group sessions to large, one-to-many seminars with hundreds of attendees. Corporate training programs are critical to your success. But hosting a physical event requires long hours of high-cost travel—and distributing training materials in the hopes that employees will self-teach is often fruitless. Using only your phone, computer and an Internet connection, get new employees up to speed and keep your entire organization in-the-know with BroadData’s interactive online training tools. BroadData’s audio and web conferencing enables low-cost training that is seamless, compelling—and most importantly, ensures accountability. When you need a hands-on environment to train a select group of participants, BroadData offers virtual meeting rooms that let instructors teach and interact as if everyone is in the same room. Incorporate a variety of learning techniques with audio, web and video conferencing capabilities. Facilitate the development of new CRM or SFA tools by allowing meeting participants to interact with software applications in a hands-on setting. Read body language to see if your audience understands the information you are sharing. If your training requires a more formal setting or if you have hundreds of Participants, BroadData’s seminar solution lets you bring hundreds of people together for company-wide training initiatives and updates. Connect up to 125 participants via our 24/7 reservationless conferencing service, via permanent toll-free, and 1+ dial-in numbers. Multiple Conference Codes can be set up for separate users and groups, so simultaneous calls can be conducted. 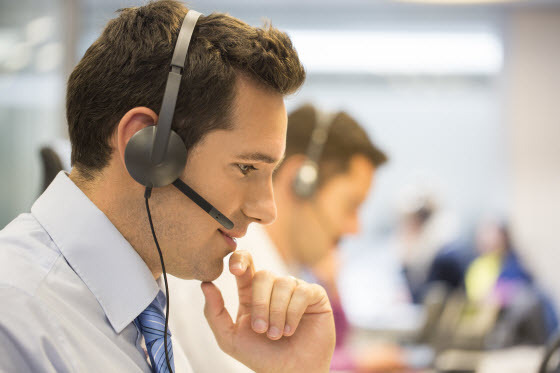 Our worldwide conferencing service is supported by international toll-free dial-in, international local (city) dial-in, and US toll (1+) dial-in services. Use our Online Call Manager for automated dial-out, or opt for operator-assisted dial-out to simplify the process. You can now conduct training sessions with corporate teams and departments, employees, managers, and sales professionals located in different countries. International calls can support up to 125 participants as well. Whether domestic or international participants are on the call, an operator is available at the touch of a button. Your operator can manage dial-out, conduct participant security checks, run Q&A sessions, and provide transcriptions and participant lists after the call. Receive professional guidance whether you are holding a reservationless conference call or using our Registration Services. With all our services, pay only for usage on one convenient monthly bill. Stop fussing with multiple conference call providers and audio conferencing companies. To learn more about our teleconferencing services and receive a custom rate solution, contact us online or call 877-321-2255 today!